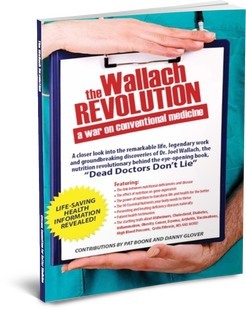 Having a direct window into medical atrocities committed in the name of conventional medicine, Wallach has been highly critical of the medical profession and of the pharmaceutical industry, causing conventional practitioners to condemn him in public or write scathing articles contradicting his work. 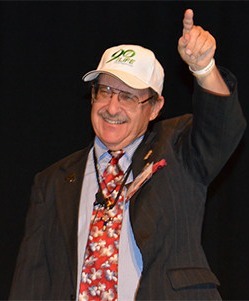 A plain spoken Missourian, Wallach reveals in his lectures instances from across the world which document physician abuses and the prescription of dangerous drugs. Convinced by sound science and logic of his positions, he is never driven from his course by public or private pressure. Indeed, to every lecture he carries with him reams of articles, citations, and evidence in support of each position, well aware that he will likely be challenged by a proponent of conventional medicine. 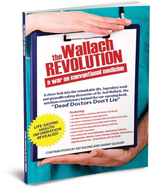 Aware of nutrient based ways to treat and cure disease that do not involve placing the patient at enormous risk, Wallach is unwilling to condone the acts of those who employ other methods that do place patients at enormous risk. 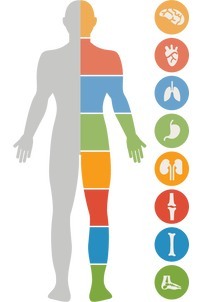 For Wallach the practice of medicine is not about capitalizing on the dire health of others but about finding the most effective ways to eliminate disease without placing patients in jeopardy. 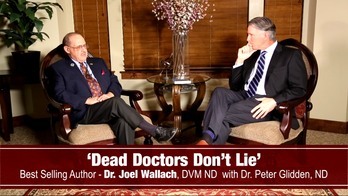 There are many examples of Dr. Wallach’s criticisms of modern medicine articulated in his best seller, Dead Doctors Don’t Lie, but a few here will suffice to prove the point. Wallach’s research establishes that the nutrient glucosamine is an effective treatment for osteoarthritis because it repairs torn cartilage, the very source of the condition. He finds it criminal that the approved drugs for osteoarthritis are non-steroidal anti-inflammatory drugs (NSAIDs). Those drugs increase the risk of internal bleeding and only mask the pain associated with osteoarthritis; they do not treat the loss of cartilage. 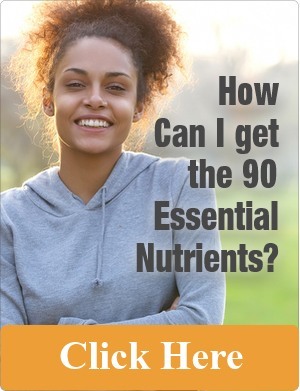 Consequently, those who follow their doctor’s advice and take NSAIDs instead of glucosamine are simply tricking themselves into thinking because the pain is not there, they can continue to grind away at their lacerated cartilage until it is gone and bone on bone eburnation sets in. Wallach knows better and, therefore, condemns the accepted practice of doling out NSAIDs to those with osteoarthritis. From Wallach’s lectures, people often come away with the stark realization that their very own medical nightmares are not unique but are shared by many others. 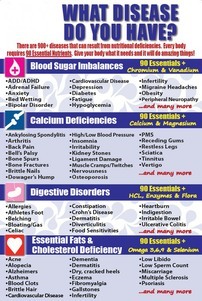 Those who have been living with a poor quality of life while dependent upon multiple drugs daily find Wallach’s lectures revealing because they provide alternatives to drugs with serious side effects and a chance for a better quality of life and greater longevity. 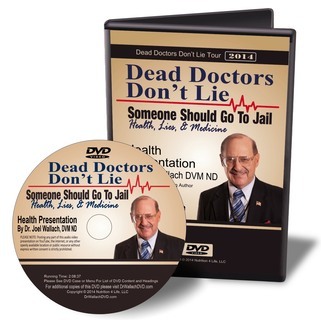 Explaining to the public these truths (the horror of conventional medicine serving up drugs that carry with them lethal and debilitating side effects as well as the simple and affordable alternative of nutritional therapy) has cost Wallach dearly. 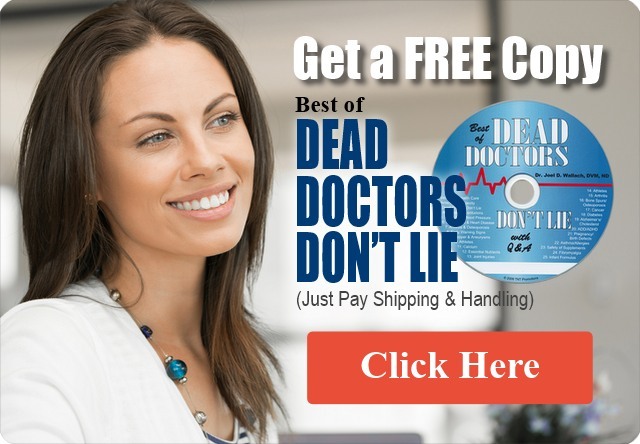 An unwritten rule pervades the medical profession and is reinforced by the drug companies in their dealings with physicians: Never speak ill of another physician and never call into question the drugs that form the armamentarium of modern medical practice. 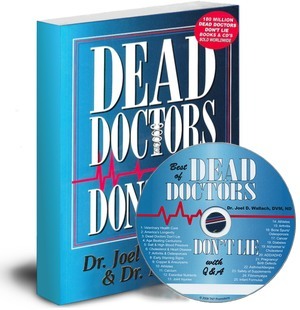 Physicians have communicated personal attacks against Wallach that they would never direct to any other colleague. 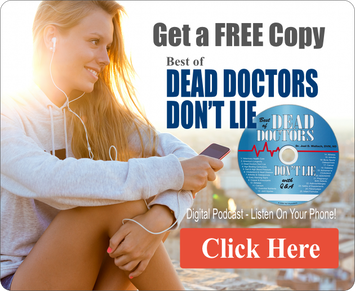 His lectures hit home because when educated of the truth, patients frequently abandon the conventions they have lived by and try new alternatives.